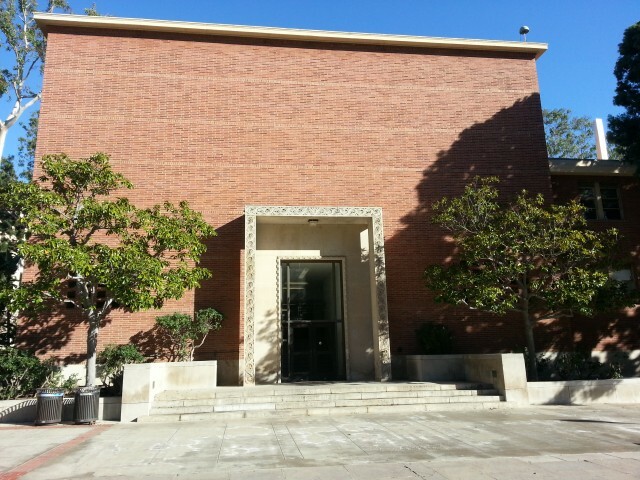 This is the Geology building. 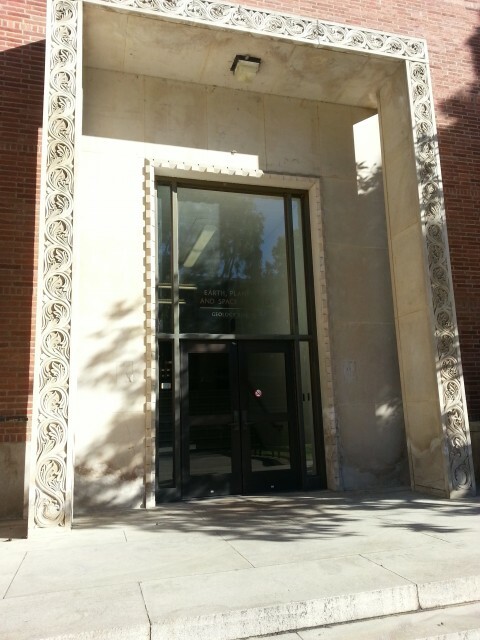 It houses the Earth, Planetary, and Space Sciences department and it is home to the largest collection of meteorites on the west coast! 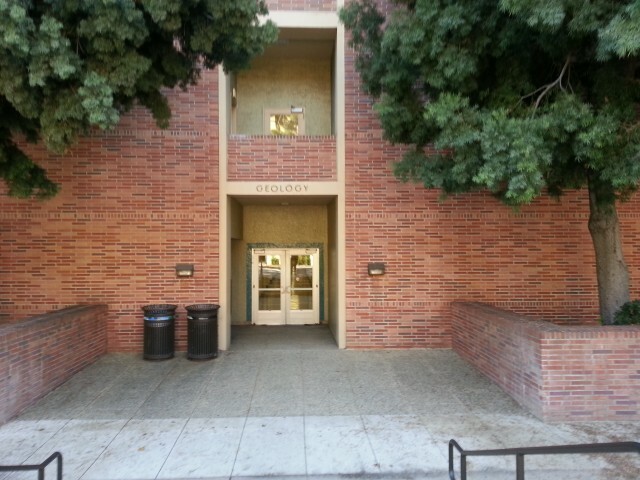 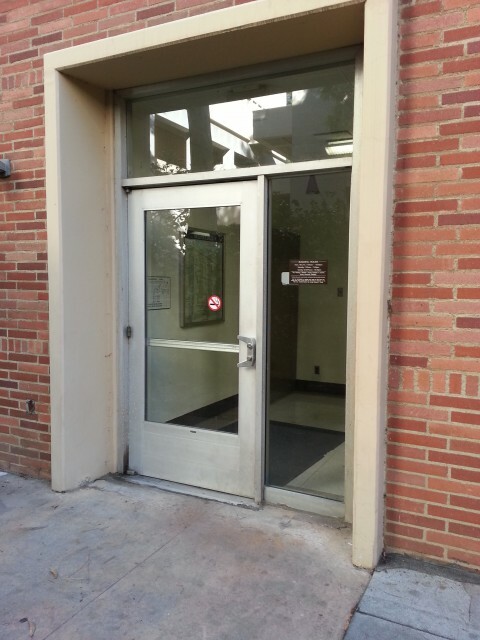 It is connected to Slichter Hall and Young (Chemistry).